Do you know what SBO stands for? SBO stands for “Search Box Optimization”! S.B.O. is a SEO service – “Search Box Optimization” (in UK English “Search Box Optimisation”) known also as “Google Suggest Optimization” or “Search Suggest Optimization”. Important: “Search Box Optimization” is in theory only! We not provide such a service! 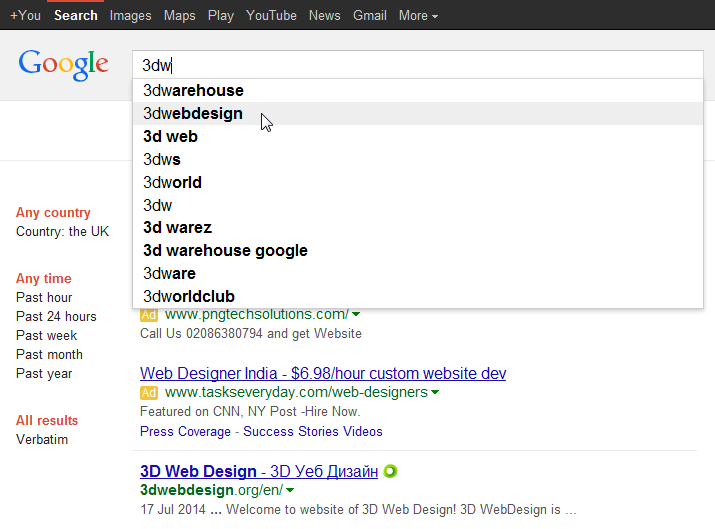 Do you notice Google Autosuggestions when you are looking for something on the web? Of course you do, and this means that about 75% of people trust the suggestions that Google makes when they are typing the name of a brand or blog. To become one of Google Suggestions, your brand or domain must be really popular, which means that your domain and brand name must be searched many times on a daily basis in Google. Sounds simple? It’s not enough to search for your brand in Google all the time 🙂 Searches must be from different IP addresses, from different C class IP’s, from different countries, with different browsers, with different keyword variations. Actually Search Box Optimization sevice is the tricky technique to put your website, blog or brand name in Google suggestions for new brand and for new website, both with low popuarity. The “SBO” sounds great, isn’t it? After all, this unique SEO technique may multiply the users’ visits on your website. Search Box Optimization SEO technique will be (maybe) offered by autoclick.pro (for now not). We know how to put you on the map and become noticeable, thanks to Google Autosuggestions. You should know that becoming a part of Google Autosuggestions requires great experience in the SEO field, because after all we are talking about a difficult and slow technique. Your brand, name or domain must be searched in Google for at least 1 to 3 months period of time to receive results – to see yourself in “Google Suggest”. What is CTR? How to increase my CTR in search results in Google? CTR (stands for Click Trough Rate) is Important! CTR affects your Adwords Quality Score and your rankings in Google SERP! What is CTR in Wordstream. Weighting the Clusters of Ranking Factors in MOZ. 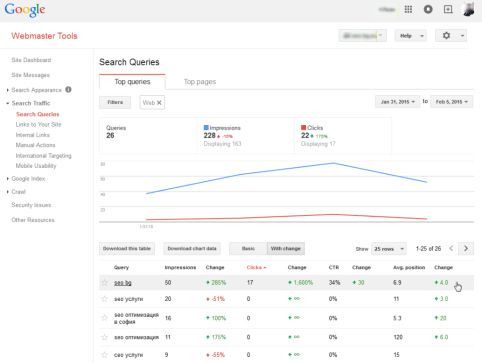 Queries & Clicks May Influence Google’s Results in MOZ. The 2 User Metrics That Matter for SEO in MOZ. Do you believe CTR affects rankings in MOZ. 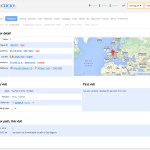 Google ranking factors in Backlinko. And in latest study about SEO Ranking Factors in Searchmetrics (end of 2014), “Click Trough Rate” was proven as the strongest factor, stronger than number of backlinks. 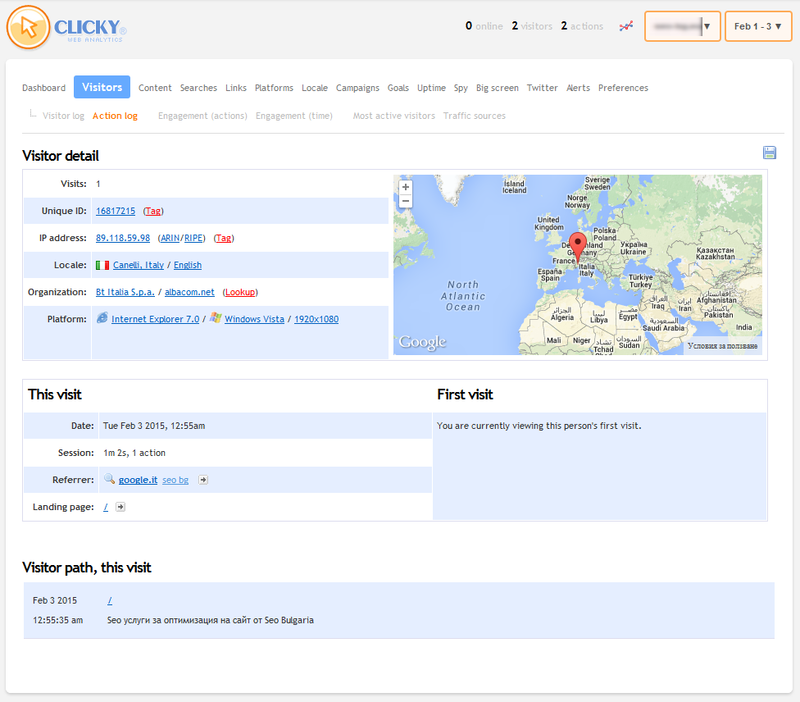 Now is the time to mention that Google will track not only CTR, Google track also the interraction on your website. We are talking about the bounce rate – how long has the visitor “stayed” on your blog. If the bounce rate is low, then Google knows that users find helpful your site because it benefits the users. Of course, if the bounce rate is high you should expect the appearing of your website in Google results higher. Do you trust Google autosuggest? Of course you do. So, you can be sure that many users think the same way. If your website or blog can be included in Google Autosuggestions, thus increasing your traffic from 10 to 20%! How S.B.O. and CTR Optimization services works? CTR optimization and SBO are cheap SEO services with great effect and huge potential for the next years. 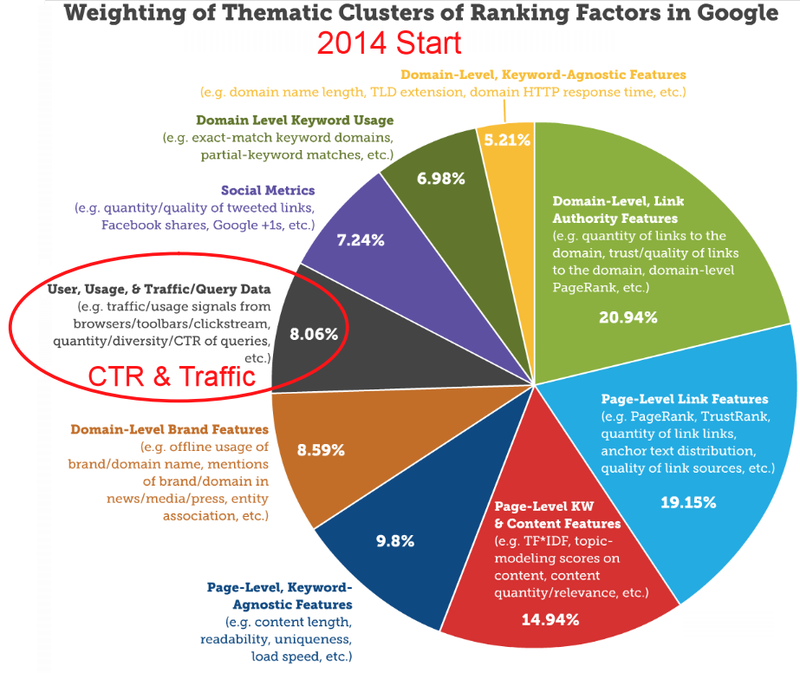 Every other year Google increases the weight of traaffic and CTR factors in their algorithm. Our service is absolutely safe – we don’t click on any ads! 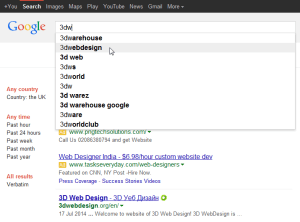 We just search in Google and click only on organic results – only on our clients results. After clicking on a link to your site, we stay on your page about 30 to 60 seconds, then we click on one more page and stay again on the page about 60 seconds. We search from many different IP’s (over 1500) from different C-class IP’s. We use many different OS, different browsers and search in different search engines, for example in google.de, google.com, google.it, google.co.uk and many more. Due on this great diversification Google count all as higher interest to your site and as normal traffic. In this way, you will get higher CTR and traffic parameter and lower bounce rate and Google will count them. 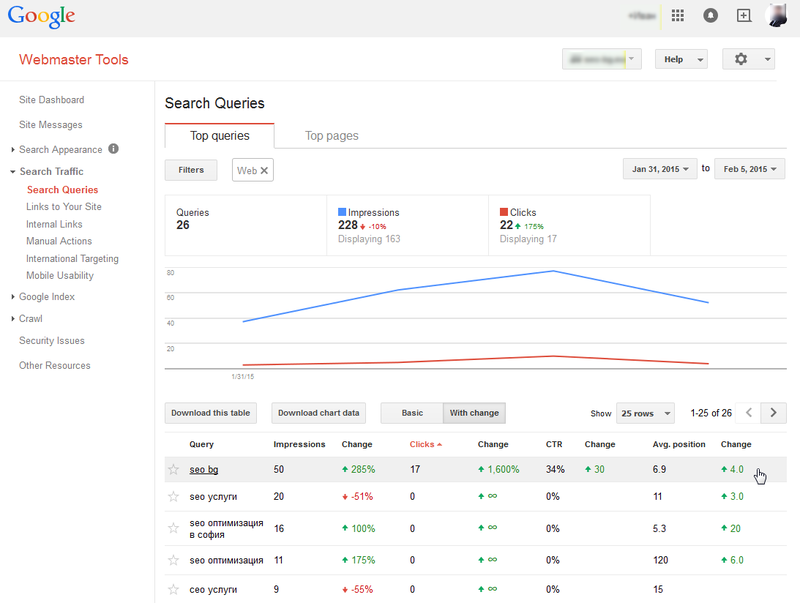 You can see results immediately in your counter, in Google Analytics and in Google Webmaster Tools. So, what you offering in this site, what are your SEO services? SBO service. We still experiment with S.B.O. and until now this service is in theory only! If you are interested in this service, you can send us email from our contacts page. CTR optimization service. “CTR Start” subscription plan starts from $12 Monthly – price is for 30 days subscription – for two keywords for one website. 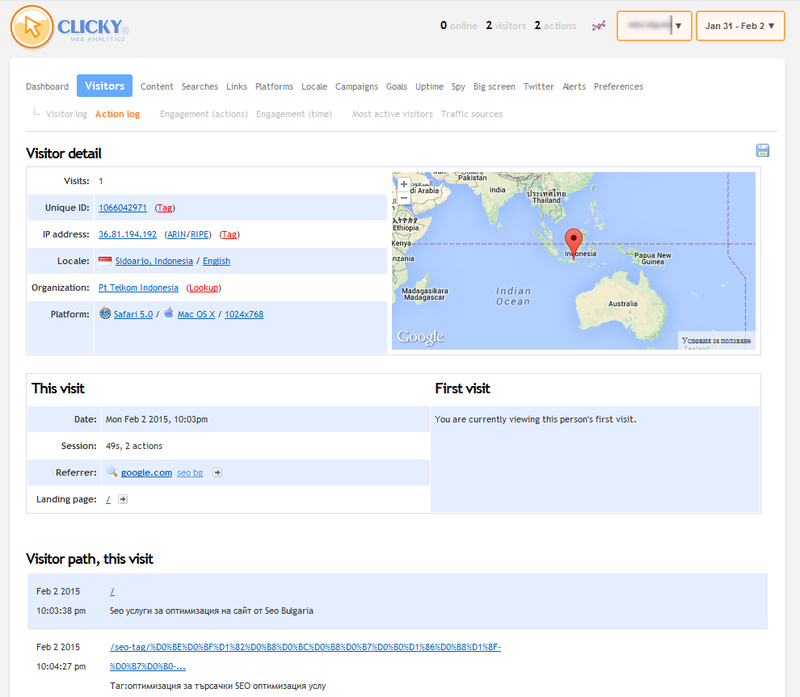 You will receive 30 Searches Per Day, 900 searches total, on random intervals. Number of searches can be in any ratio between your 2 keywords. You must send us two keywords (or two key phrases) and one or two links from your site. Keywords can be in any language, in any niche. There is only one requirement: your site has to be already ranked in Google for these keywords in Top 100 results. Example ONE: One keyword, one link: You send us one keyword and one link. You will receive for this keyword 900 searches total with 900 clicks on your result with average time of visits of about 70-90 seconds. Example TWO: Two keywords, one link: You send us 2 keywords and 1 link and some ratio – for example 80/20. You will receive 900 searches total – 720 for keyword one and 180 for keyword two. Example THREE: Two keywords, two links: You send us 2 keywords and 2 links and keywords ratio (for example 50/50). You will receive for these 2 keywords 900 searches total – 450 for keyword one and 450 for keyword two (450 clicks on link one and 450 clicks on link two) and average time of every visit of about 70-90 seconds. When I will see results in my rankings? You will see results in Google SERP after about one week to one month. There is no warranty when you will see higher position, but our tests show us that results are present after only 1-2 weeks. Can I see real examples from CTR traffic campaigns? What is the cost of CTR optimization and SBO services? CTR optimization service costs from $12 Monthly – price is for two keywords for one website for 30 days – total 900 searches/30 daily. Payments are processed only over Paypal. 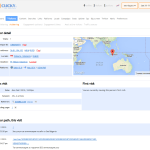 Where and How to order CTR optimization and SBO services? Yes, you can order S.B.O. and CTR services at this site. This can be the difference between you and your competition – the only one thing to raise you from place Five to Place One in your niche! We work only with subscriptions – this is not one time service! To receive great results you will need to pay for our service for min. one month. Contact us to start your free 5 days trial or to receive a quote. The main company name and owner of this site is “3D Web Design” – for 8 years we are well known as SEO services provider, developer of web based SEO tools, Joomla extensions and WordPress plugins, one of organizers of Joomla Day events in Bulgaria. Open “clients” link in our site (it’s bottom in footer 🙂 ) to see list with some of our greatest customers or “team” link (again in footer), to see who we are. Start your Risk FREE 3 days trial now!